As I was sitting in the rear of the Stanley J. Davenport Jr. Performing Arts Center at Pottstown High School yesterday afternoon, I knew the first word that came to mind -- "tolerance" -- was wrong. "Tolerance," is the word the politically correct have trained us to think means people getting along with those different from them. 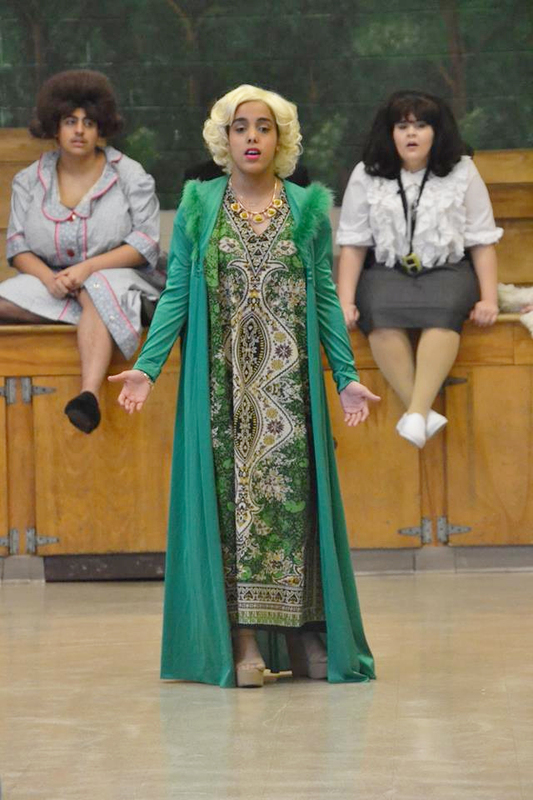 in Pottstown High School's production of "Hairspray." 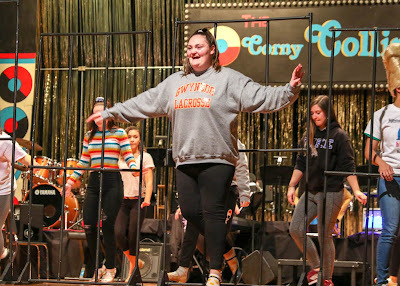 But watching this year's production of "Hairspray," the John Waters masterpiece about a heavyset Jewish girl who just wants everyone to be able to dance together, "tolerance" just seemed like too weak-kneed a word. You "tolerate" people you don't like, those whose views you vehemently oppose, unfortunate relatives you must see at the holidays. What was happening onstage Sunday afternoon was not toleration, it was celebration. This is something Pottstown's musicals do best, showcasing diversity as a strength in a way nearly everyone can understand. 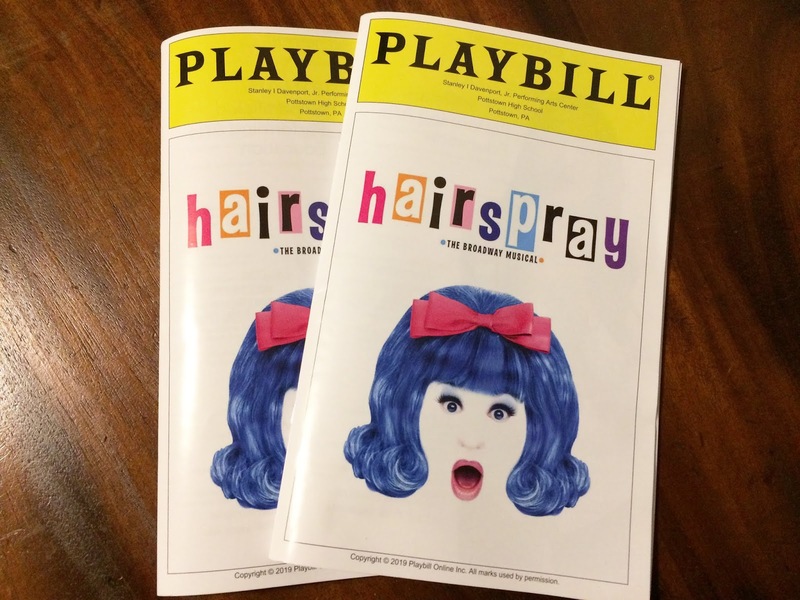 Despite its wisecracking dialogue and delightful silliness, there is something very serious going on in "Hairspray." Tracy Turnblad may be the main character, played brilliantly by Devyn Lopez by the way, the story behind the story is about African-Americans forever trying to claim their share of the American Dream. in a sneak peak at Lincoln Elementary. This is made abundantly clear in Act II when Motormouth Maybelle, one of the few black stars on a local Baltimore TV station in the early 1960s, sings "I Know Where I've Been," a song that makes it clear that for African-Americans of the period, and still today, there was no where to go but forward. As an older white male, I can't pretend to know the struggle African-Americans face in this country. I can empathize and try to imagine it, but I imagine whatever I come up with falls short of the reality. To be sure, we've cleared hurdles as a nation, banished slavery and "separate-but-equal" from our law books, if not all of our hearts. But let's face it, those things were the low-hanging fruit, the important but obvious things we could all see. They had to be tackled first. And to sit still would be a sin. 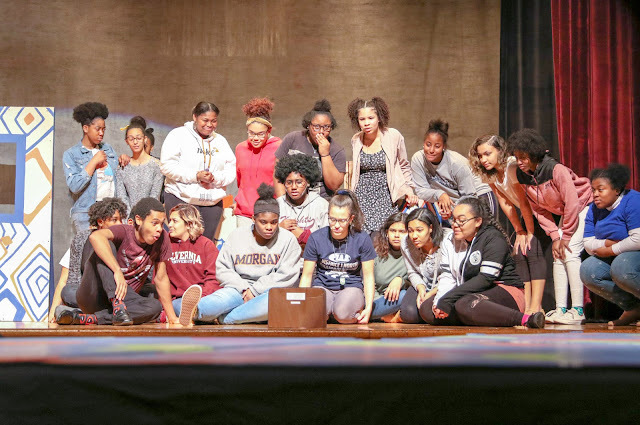 The kids from the "other side of the tracks" pretend to watch the Corny Collins show during a rehearsal for "Hairspray" in this photo posted on the Pottstown School District Facebook page. I recently took note of a discussion (debate) on a friend's Facebook page about people who say "I don't see color." While I understand the good intentions behind that sentiment, to say so is to ignore everything that people of color have had to overcome until today, and are still working to overcome into tomorrow. "I don't see color" is not a statement most African-Americans, or Latinos, or others who are different and don't fit into white, mainstream America's idea of normal, have the luxury of saying. And so now we fight subtler battles for equity, things that are harder to see but which can be just as hobbling; things like being judged by a standardized test score standard, when those tests have been shown to be a better measure of race and wealth than academic growth. In fact, there is a subtle, institutional discrimination going on right here in Pottstown that you might not see. In PA, by applying the fair funding formula for school funding researchers discovered a positively un-American truth; or at least un-American as I understand America. 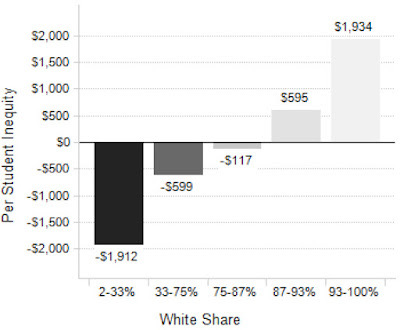 Two years ago, I reported on research showing that all other things being equal, Pennsylvania school districts with a higher population of "non-whites" receive less state aid per student than those with a higher white population. In fact, the whiter the school district, the greater share of state funding they get. I was outraged, and then profoundly disappointed that the revelation of that fact gained little political traction in the fight for fair funding. That was perhaps just a little taste for me of how institutional racism can fly under the public radar, unseen by those of us who don't experience it and with so many other things to distract us. I wrote about this in Sunday's Mercury and in case you missed it, a national study has now confirmed what those Pennsylvania studies did two years ago. Two years ago, POWER researcher David Mosenkis did me a favor and used his data to compare Pottstown and Mahanoy City in Schuylkill County. Both have similar poverty levels and, according to the fair funding formula, both should be getting about the same amount of Basic Education Funding aid — between $5,550 and $5,750 per student. 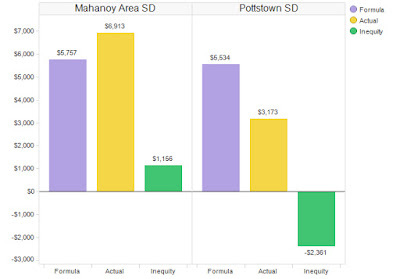 But when you look at actual state aid per student, Mahanoy City is getting $6,913 per student — $1,156 more than its fair share, according to the formula. And Pottstown is getting $3,173 per student — $2,361 less than its fair share. That’s a $3,517 gap per student between the two districts. The only significant statistical difference between the two districts is Mahanoy City is 84.5 percent white, while Pottstown is 39 percent white. which explains more than I could with 1,000 words. 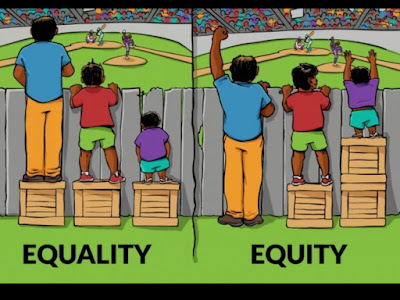 That is neither equality or equity, the latter of which is what the fair funding formula is designed and was adopted to ensure. Sadly, the promise of that formula remains unrealized because no one in Harrisburg is willing to right this wrong and distribute all the state's funding by using the formula. For now, a tiny fraction of the millions of dollars of state funding is distributed fairly. The rest? -- "the way we've always done it." And that means short-changing Pottstown and other districts who don't have enough white students to make it worth the state's effort to fairly invest in their education. What was revealed by that research is something insidious; something holding this town back; something that makes the $13 million the state is supposed to be providing for the education of our young people that goes beyond partisan politics. As school board member, Community Relations Director and tireless Pottstown champion John Armato said, this disparity may have come about as a result of demographic changes across the state, but now that we know it exists, "failing to do anything about it is a failure in moral leadership." 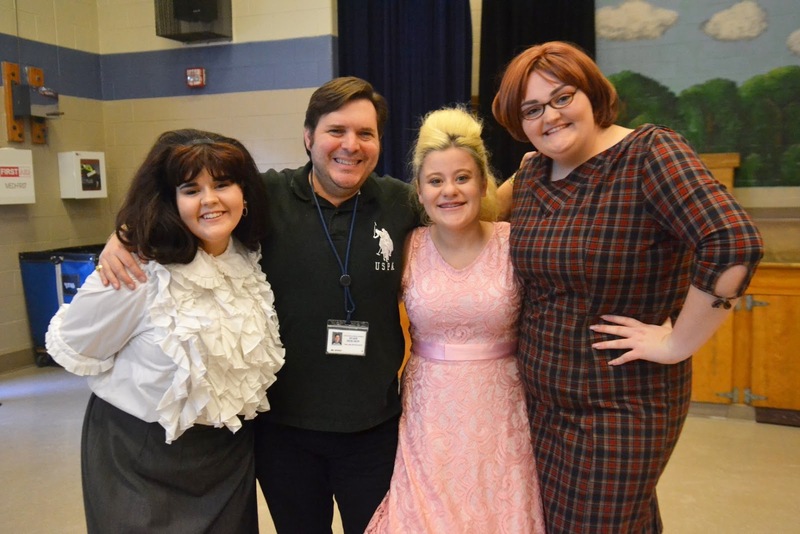 That said -- and hopefully repeated and corrected in the halls of Harrisburg -- one thing you could not say is a failure is the five-year run of musicals in Pottstown. While we may not tolerate the quiet institutional racism that is Pennsylvania education funding, our tolerance -- no, that's wrong -- our celebration of racial, ethnic, dress-size and sexual diversity evident in the production of "Hairspray" is downright inspiring. at the end of Sunday's show. "I wouldn't work anywhere else," he said. And it starts when they're young, both naturally and with the encouragement of the staff. When my son was a youngster at Lincoln Elementary School, he came home one day and told me there was a new boy in class. I asked him what the new boy was like, he said he was tall, funny and liked to draw. Weeks later, he pointed the boy out to me as the students lined up in the morning and I saw that he was African-American. I realized my son had not thought that something worth mentioning. It's not that he "didn't see color," it's that he didn't see it as the new boy's defining characteristic. This is an important distinction. Growing up in Pottstown he often came face to face with some of the obstacles his black classmates faced, and was angered by it. When the jazz band, whose performance was stellar (parental bias aside), received a score lower than they deserved, he told me they would begin whispering "separate-but-equal." There is a difference between "not seeing color" and recognizing color (or sexual preference, or weight, or any of the other painfully myriad ways we find to separate ourselves from each other) as a part of who someone is and learning how that part fits into the whole. It's part of who they are, not all of who they are. missed watching a burgeoning comedic talent. And it occurred to me last night what a perfect match "Hairspray" was for the Pottstown School District. We often talk about the need for the town (and the country) to "come together." And there my wife and I sat Sunday, toward the back of the Stanley Davenport Performing Arts Center. The 1,100-seat capacity was as near to full as I have ever seen it, even with snow in the forecast. It was full of people there to see a show about a struggle to give African-Americans a fair chance, for youth of all shapes and sizes to come and dance together. 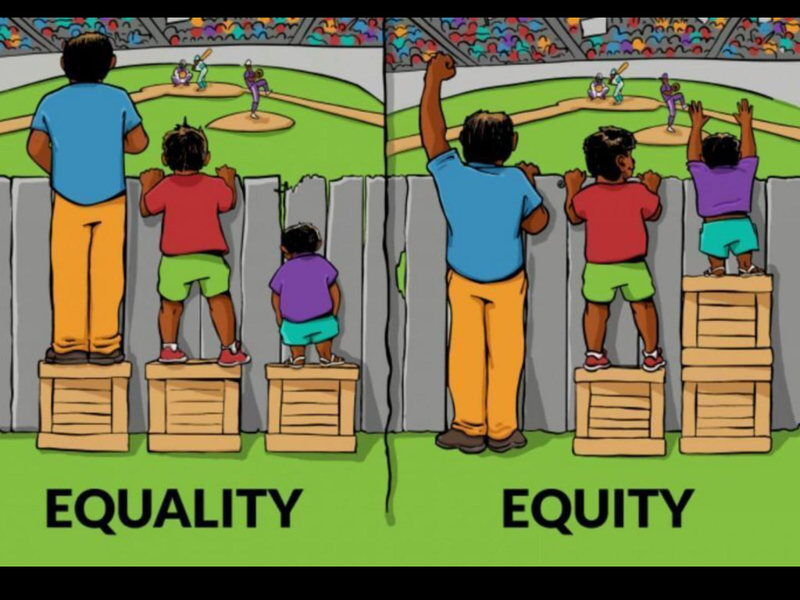 And I realized that is what is happening in Pottstown Schools already, something that other "better" school districts in the area would struggle to replicate. 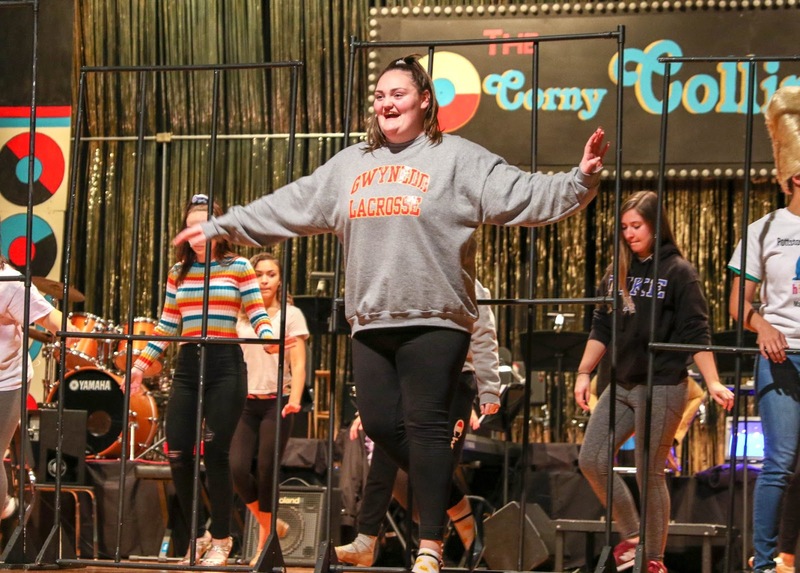 Kids of all shapes, sizes, colors and predilections had come together to dance (and sing) together, and do it well. 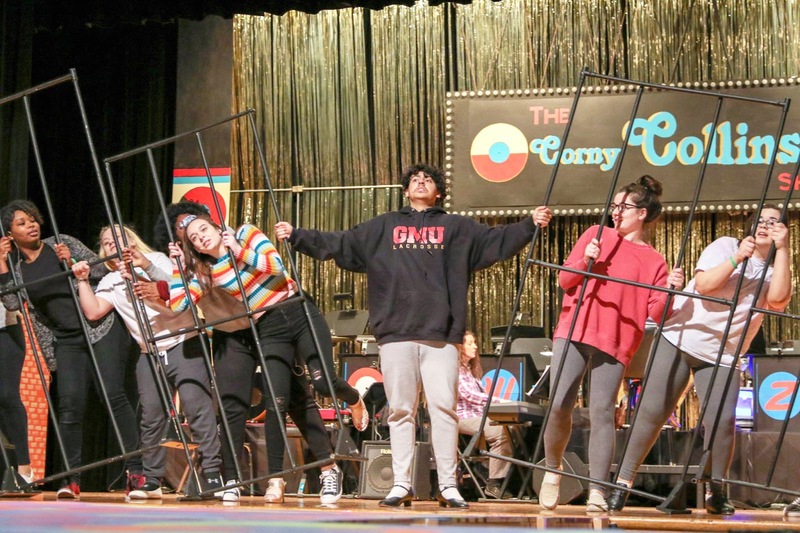 And next year, as it does every other year, it will be a district-wide effort, involving all grades when we stage "Seussical, The Musical," based on the stories of Dr. Seuss. And for my money, that is as good a way to measure how good a school district is as any standardized test score. It moved me to say, "Proud to be from Pottstown."